Adults in all ages and stages benefit when they can make health essentials a regular part of their lives. This includes a nutritious diet, getting appropriate amounts of sleep, and staying as active as possible. Visit this section of the KYPH website on a regular basis for tips and information on how to help adult parents maintain as healthy a lifestyle as their circumstances will allow. I was with a client today who has cognitive issues, we don’t know if its dementia or something else. However, she had a hard time talking when I first got there. She sounded liked she had cotton in her mouth. I got her a glass of water which she drank. Each time she took a drink her speech and her thoughts were clearer. I am not saying that this is the answer to all cognitive problems, but dehydration is one of the biggest problems with the elderly, especially those on a lot of medication, which is most. 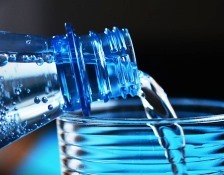 This article, Effects of Dehydration on the Body & Brain, talks about this issue. It’s short and to the point. In the US $1.14 billion is the cost of hospital related issues caused by dehydration. Besides the money, think of all the suffering those illnesses represent. Important stats and bio information here.While there is not enough research, it gives what there is. You still may want to skip the part about exercise as it is not relevant to this particular concern.